We are a team of plumbers with over 50 years experience we are the last call you will make for a plumber as we never walk away from a job till it's complete.. for sure we have the answers to all of your questions..we solve your plumbing problems! 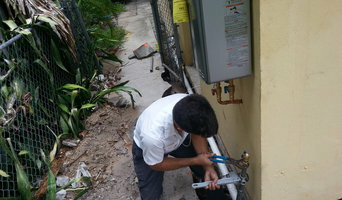 Our network of expert Miami plumbers are available 24/7 to attend to your plumbing emergencies.We provide both residential and commercial service.We screen only the most highly skilled, proficient, licensed technicians to ensure that they meet our above-average expectations for education, experience, and skill-level. 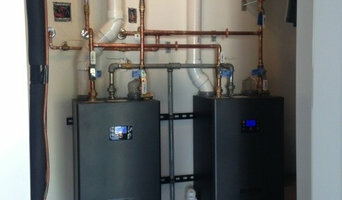 You get quality service from our local Miami Dade FL plumbing contractors with over 10,000 hours of training. In business since 2004 with residential and commercial properties throughout Miami-Dade and Broward counties. We believe in doing the work correctly the first time. Our professionalism, hard work, diligence, reliability, fair pricing, and 100% customer satisfaction is not only what we do but what our company runs on. We are qualified to render a broad range of services. No job is too big or small. We are a family owned fully licensed and insured total home repair establishment. Our crew has over 40 years of experience. We are available 24 hours a day, 7 days a week for immediate emergency service. We provide 24/7 emergency service. Our company specialize in stoppages, re-piping, leak detection, jetting, water heater installation, fixtures, well pumps, backflow and complete remodeling. We take pride in offering the best plumbing and remodeling services. We are dedicated to serving the needs of our customers each and every day. Global Plumbing is licensed, insured and bonded. Mr. Grease Guzzler LLC is a full-service plumbing contractor servicing all of south Florida including Holllywood, Miami, Fort Lauderdale, Pembroke Pines, Weston, Pompano Beach, and more. We are fully licensed, insured and bonded. With over 40 years in combined experience we specialize in the grease trap industry. Also, we have the ability to service and perform emergency and routine plumbing repairs. In addition, we perform preventive maintenance checks, service of existing equipment, and installation of new plumbing fixtures. We maintain and clean septic tanks, grease traps, and storm drains. Environmental remediation is also available. Mr. 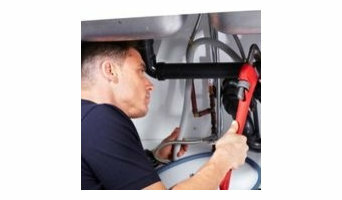 Grease Guzzler LLC has an extensive history of repair and service on all kinds of plumbing systems. We provide quality workmanship with professional, dependable and courteous service every time. We offer 24-hour emergency services so that you can count on Mr. Grease Guzzler LLC to be there when you need us the most. It is our commitment to ensure you get an objective opinion and reliable quote before we perform any work. EMERGENCY PLUMBING IS OUR SPECIALTY 24/7/365 Call us anytime! We're available 24/7/365, in the South Florida area. With a lot of plumbing work done behind walls and underneath floors, some Miami, FL plumbers will also repair or replace tile, stonework or other surfaces, if need be. You’ll find most Miami, FL plumbers provide a variety of services, including maintenance and construction, covering gas, solar and electric. However, some will have areas of expertise. A 24-hour plumber, for instance, will be well versed in residential emergencies and repairs, while others may be more experienced in renovations and new homes, or the installation of septic systems, rainwater tanks, pumps and other special water and drainage systems. Find Miami, FL plumbers on Houzz. A leaking toilet or blocked drain can do more than just water damage, so never wait too long to call a local plumber. Start your search on Houzz by browsing the Professionals section of the site. If you're undergoing a renovation or home construction, you may also look through Photos to find local plumbers who have worked on projects similar to yours. If you’re planning a large-scale project, find other professionals on Houzz who can help get the job done. Here are some related professionals and vendors to complement the work of plumbers: Building Project Managers, Septic Tanks & Sewage Systems, Kitchen & Bathroom Designers, Kitchen & Bath Renovators.